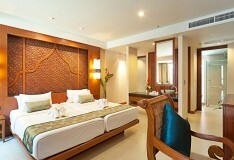 Lying in the heart of South East Asia, Thailand is a country where ancient and modern have been blended harmoniously. Blessed with areas of spectacular scenery, some of the world's finest beaches and welcoming locals, it has always been a top tourist destination. 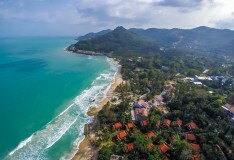 Why book a holiday to Thailand? Mercury Holidays offers hand-picked holidays to Koh Samui and Phuket, allowing you to live the life of luxury without the luxury prices! Phuket is one of the most popular islands in Thailand, home to some amazing beaches, notably around the resorts of Patong, Karon and Kata. There is a large selection of amenities for tourists to enjoy to make the most of their stay, including a huge array of bars and restaurants. 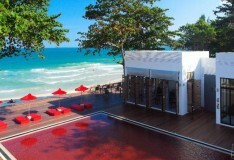 Koh Samui looks out onto the beautiful Gulf of Thailand. A stunning island with mesmerising sandy beaches, bars and restaurants. There is a rich history within Koh Samui with a variety of temples to see during your stay. For your convenience, all of the Thailand Holidays featured on our website can be booked online or, if you prefer, over the telephone with one of our expert Travel Consultants. All of the hotels we offer have been hand-picked by ourselves because they offer the perfect combination of facilities, excellent service and unbeatable value.